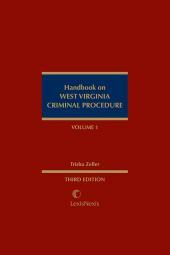 This two-volume handbook is recognized as the leading authority on the law of evidence in West Virginia. 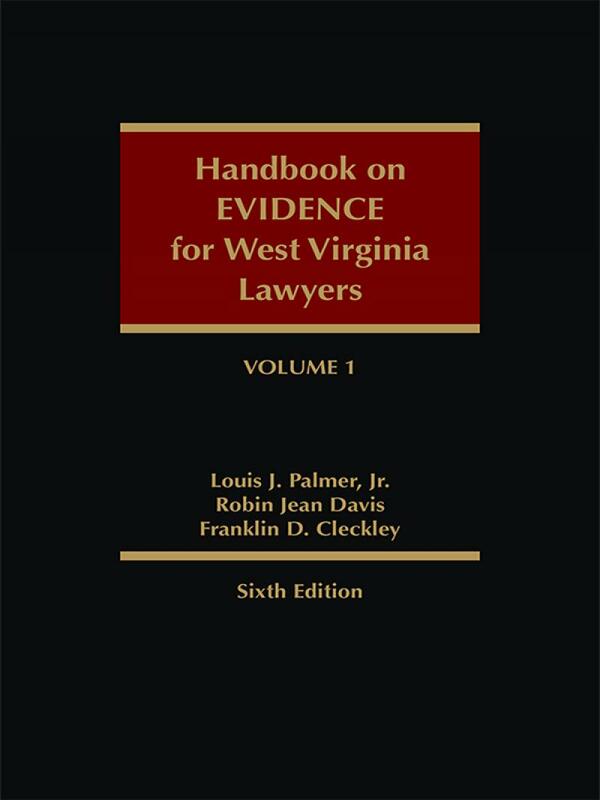 The Sixth Edition of Handbook on Evidence on West Virginia provides an up-to-date analysis of the law of evidence as it affects West Virginia lawyers, reflecting the significant amendments made to the evidence rules in 2014. 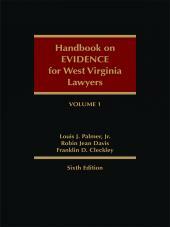 Geared to judges, practicing attorneys, litigators, and law students alike, the Handbook on Evidence for West Virginia Lawyers offers in-depth discussion of the basic principles of the law of evidence, as well as a detailed study of the rules governing the introduction of trial evidence. Among the wide array of evidence issues discussed are the gathering and presenting of evidence, making and resisting objections, and recognizing errors in the admission of rejection of evidence for appellate purposes. Specific chapter topics include judicial notice, presumptions, relevancy, privileges available to witnesses, opinions and expert testimony, hearsay and extrajudicial statements, authentication and identification, and burden of proof and stipulations. Mr. Palmer is a West Virginia Bar Foundation Fellow and the author of 19 legal books, including Organ Transplants From Executed Prisoners (2d ed. 2014); The Death Penalty In The United States: A Complete Guide to Federal and State Laws (2d ed. 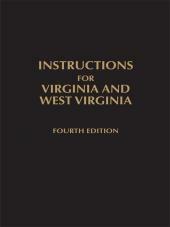 2013); Encyclopedia of DNA and the United States Criminal Justice System (Reprint 2013); Handbook on the Rules of Civil Procedure for West Virginia Magistrate Courts (2010); Encyclopedia of Capital Punishment in the United States (2d ed. 2008); Encyclopedia of Abortion in the United States (2d ed. 2008). He has also authored four law review articles. 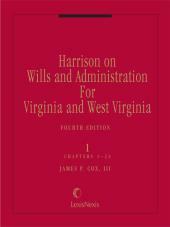 Mr. Palmer served on the Committee on the Revision of the West Virginia Rules of Evidence (2012-2013) and the Committee on the Revision of the West Virginia Rules of Civil Procedure (2013).